Homepage Uncategorized YOU Have Been Invited! 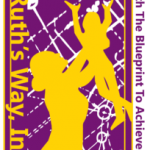 Here at Ruth’s Way, our sole goal is to help adolescent girls achieve their most successful futures possible despite their past or current situation, and our STARS (Students That Achieve Remarkable Success) this year have shown us a whole new level of tenacity! We would like for YOU to join us this year as we celebrate these phenomenal young ladies, their achievements, and their remarkable journeys of success! Your ticket purchase of $25 helps fund our nonprofit organization so that we can continue to help young ladies in the years to come to achieve their most successful futures possible! This will be an upscale grand celebration! You will enjoy scrumptious hors d’oeuvres, a fabulous Chinese Auction with exquisite items from our online purses & wallets, prizes, and so much more!